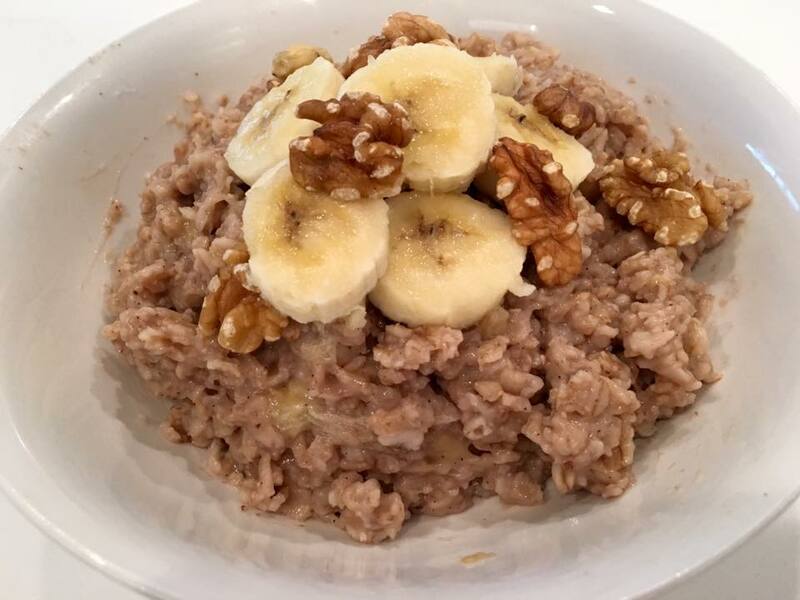 I LOVE banana nut bread, so banana nut oatmeal helps satisfy that craving. It also makes the house smell amazing!! I leave it in the crockpot overnight and it’s waiting for me in the morning. 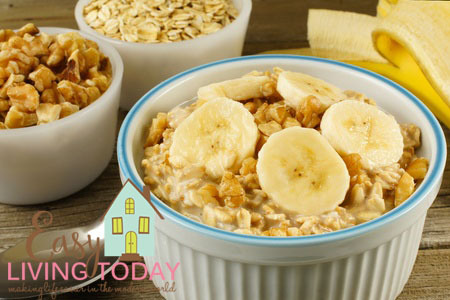 Absolutely no reason to skip breakfast! Place all ingredients in crockpot and stir until well combined. Cook on low for 8 hours (perfect for leaving in the crockpot while you sleep). 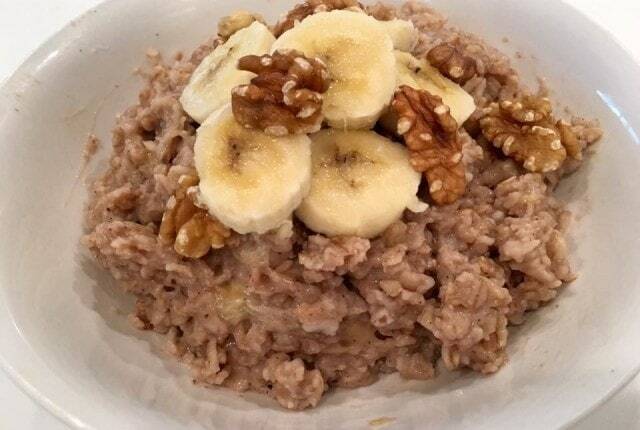 After 8 hours, stir oatmeal with a fork to loosen the steel cut oats and make sure everything is nicely mixed. Top with sliced bananas if you’d like.